Labor Day weekend is a great time to shop for cars. Not only is it the last long weekend of summer, but it's also when new model sales begin and used car bargains are easier to find. To help you get the best car at the best price, iSeeCars.com analyzed more than 18 million used vehicle sales to identify which cars are most frequently discounted over Labor Day weekend. We found 12 vehicles that have more deals on Labor Day than a typical day, with “deals” defined as a discount of at least 5 percent (or $952 off the average used car price of $19,040). The results include some of the nation's most popular cars, with an equal split between domestic and Japanese brands. The top-ranked car with the most Labor Day deals is the Chevrolet Impala, one of the longest-running models from General Motors. Redesigned for the 2014 model year, this large sedan has 47.5 percent more deals than usual – almost double the next car on the list. 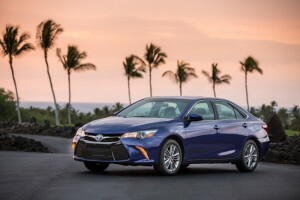 Last year’s best-selling passenger car, the Toyota Camry, ranks second on our list at 27.4 percent more deals than average. Prices for used Impalas and Camrys average $16,482 and $15,887, respectively, so a 5 percent discount could mean savings of $800 or more on these top two cars. Anyone looking for a deal on a sedan should also add these very popular passenger cars to their list: the Nissan Altima, Honda Accord and Toyota Corolla. All of them have at least 15 percent more deals than usual over Labor Day weekend. With 23.3 percent more deals than average, the Ford Explorer ranks third. It’s one of four SUVs with substantial discounts on Labor Day weekend. If you’re bargain hunting in this segment, then you can also check out the Nissan Rogue, Chevrolet Equinox and Toyota RAV4. 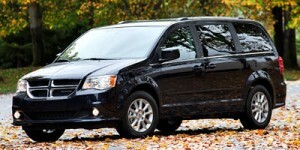 Only one minivan, the Dodge Grand Caravan, made the list of 12 Best Labor Day Deals. You may want to focus your search on the Caravan this weekend, if you need a larger vehicle for the new school year and beyond. Rounding out the list are two muscle cars: the fifth-ranked Dodge Charger and sixth-ranked Ford Mustang. With about 20 percent more deals during Labor Day weekend than a typical day, now is a great time to consider buying one of these powerful cars – as well as a fun way to celebrate the end of summer. iSeeCars.com analyzed over 18 million used car sales from 2014 through 2016. Deals were identified based on whether the car was listed at 5 percent or more below market value. Only cars from the last five model years (2012 to 2016) with at least 3,000 vehicles sold on Labor Day Weekend (defined as August 29 to September 1 in 2014, September 4 to September 7 in 2015, and September 2 to September 5 in 2016) were included for further analysis. For each model, the percentage of cars sold with at least a 5 percent discount (“% deals”) was compared to the same metric averaged across the 2014 through 2016 period. Models were ranked by the percent difference in “% deals” between Labor Day Weekend and the 3-year daily average, and the top models with at least 15 percent more deals than average were included on the list of Best Cars To Buy During Labor Day Weekend. iSeeCars.com is an automotive data and research company that’s saved car shoppers more than $115 million. It helps consumers find the best deals by providing key insights and guidance, using big data analytics powered by over 25 billion (and growing) data points and proprietary algorithms to objectively analyze, score and rank millions of cars and thousands of dealers. Based in the Boston area, iSeeCars.com was founded by a former TripAdvisor developer and SAP executive determined to improve the car shopping experience. » Green Car Adoption by State: Who’s Leading the Charge?